When it comes to summer get-togethers, there are a few classic recipes that always seem to stand out against the rest. Hot dogs, hamburgers, my Dr. Pepper Pulled Pork Crock Pot recipe… Well, move aside, traditional recipes. This chili cheese dog, made with the best chili recipe around, is sure to be an instant crowd-pleaser. Make this for your next get-together, and your friends and family will be begging you for the ingredients to your best chili recipe in no time. You've had chili dogs before, but none like this. 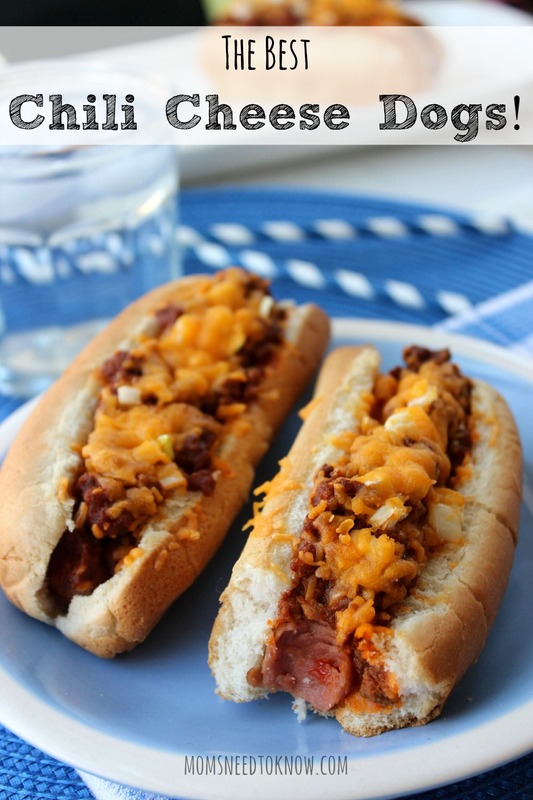 The chili topping on these dogs truly brings the chili dog to a whole new level. It isn't made out of any strange or unusual ingredients–in fact, you probably have most of them on hand right now–but the way they come together with the best chili recipe around is different, delicious and exciting. 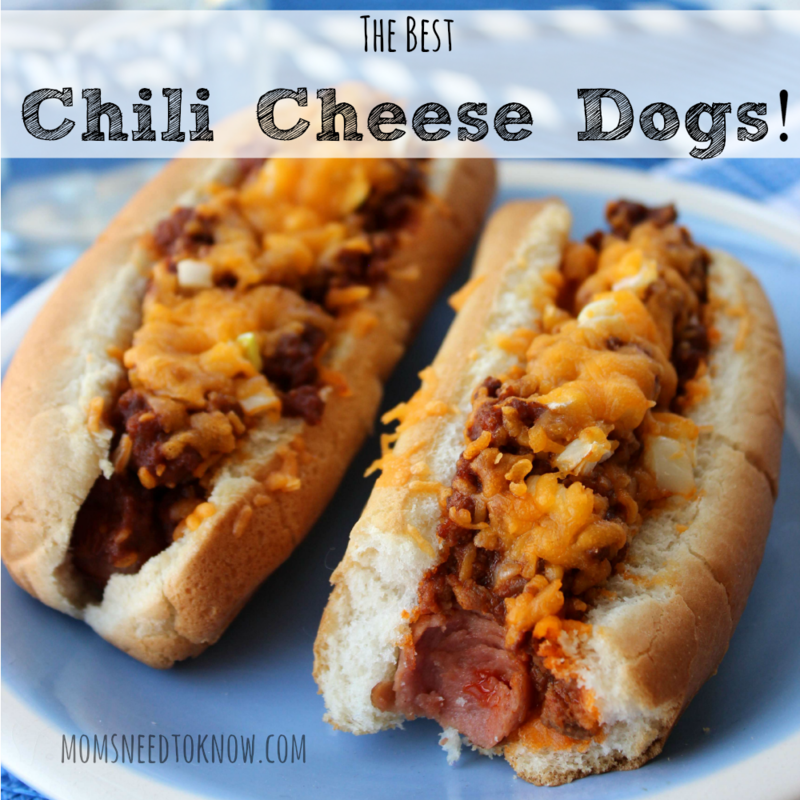 You've never tasted chili cheese dogs like these before! You don't want to spend the hours before the party slaving over the stove making a complicated recipe when you have a house to clean and decorations to hang. Thankfully, with this best chili recipe, you won't have to do that. The process takes less than 30 minutes, it is as easy as this easy tomato soup recipe, and it can easily be accomplished while you do other things. Mix the ingredients together, then go get dressed, put your make-up on or finish cleaning the kitchen while the ingredients simmer. Thirty minutes later, you'll have mouthwateringly delicious chili cheese dogs your guests will rave over, and you'll have gotten some other tasks accomplished as well. If you want a party food that is perfect for a summer get-together and that is sure to wow your guests, this is the best chili recipe that you will find. Enjoy! Add onion powder, garlic powder, chili powder, tomato paste, ketchup, salsa and 1/2 cup water. Heat hot dogs in boiling water. Toast buns in 300 degree oven until slightly crisp. Squirt mustard on bun and insert hot dog. Top with chili mixture, diced onions and cheese.